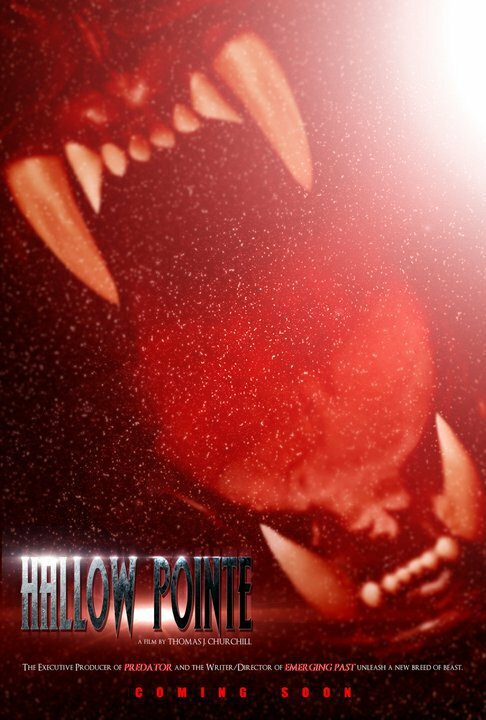 I've known about the upcoming werewolf flick HALLOW POINTE for a long time now and to see it getting some legs under it is really cool! This movie will offer up old school practical fx like 80's favorite The Howling and An American Werewolf in London. Dig on the cool teaser trailer after the jump and let us know what you think and look for more soon! Hallow Pointe has an impressive cast that includes genre favorites such as Tony Todd (Candyman), Kane Hodder (Hatchet 1 and 2, Jason X), Leslie Easterbrook (The Devil’s Rejects), Tiffany Shepis (The Violent Kind, The Frankenstein Syndrome), Belinda Balaski (Piranha, The Howling), Lar Park Lincoln (Friday the 13th Part VII: The New Blood) and Ashley C. Williams (The Human Centipede (First Sequence). Hallow Pointe is a chilling story about love, life and what lengths you go through to try and save someone, all told within the classic horror staple: a creature feature. The film is centered around Madeline’s Closet, a quaint bed and breakfast hidden away from the world on a hidden dirt road in the woods. Henry and Jane are hoping a weekend there will help rekindle their love for each other. Staying there, along with a few other guests, everything seems to be going as planned until the sun sets and the full moon lights up the sky. Instead of trying to save their marriage, they must now work together to try and save their lives.